5 Best New TV Shows to Watch: September (2018) | Nerd Much? The fall TV lineup starts off strong with plenty of intriguing new series, some covering familiar territory while others bring bold new ideas. 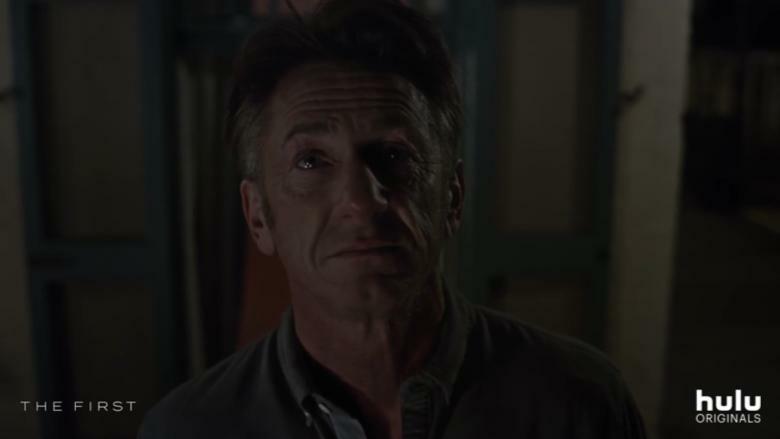 A mission to Mars takes to the small screen for a change in Hulu’s The First, starring Sean Penn. The Purge also makes a shift to the small screen in the franchise’s first TV series, premiering on both USA and Syfy. 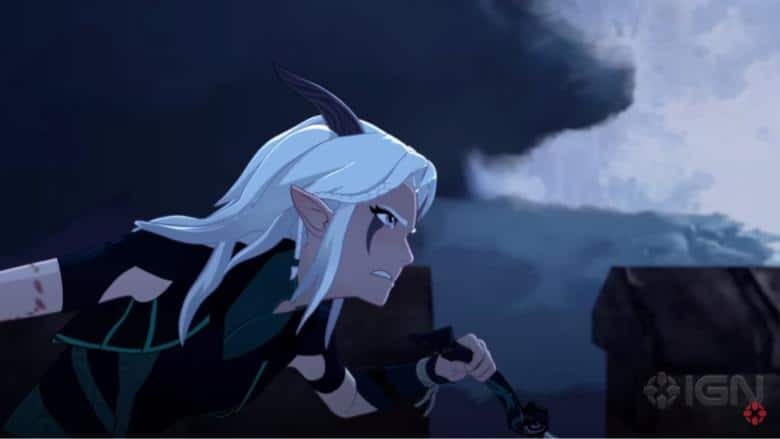 The lead writer and director of Avatar: The Last Airbender has a new animated series on Netflix, The Dragon Prince. Netflix is also getting a surreal dark comedy in Maniac, which will explore dreams and imagined realities in a limited series. In NBC’s Manifest, a flight gone missing touches down five years later—but no time has passed for its passengers, leaving them vastly out-of-sync with the rest of the world. Three of these five shows are releasing an entire season in September as Hulu joins the “bingeable” model Netflix has become known for. The horror film franchise is making its way to TV in a 10-episode series, following the events leading up to a night of mayhem and murder. The Purge imagines an America that encourages people to rid themselves of violent tendencies through a 12-hour period with no laws. Everything is legal, and afterward, no questions are asked. While the films have focused on the darkest and bloodiest moments of the Purge, this series provides an opportunity to explore the lives of its characters before the violence begins. And, of course, it will also explore said night of violence. Some of the show’s characters have survived previous purges, while others will be participating for the first time. There are three primary stories that give us different perspectives of The Purge. 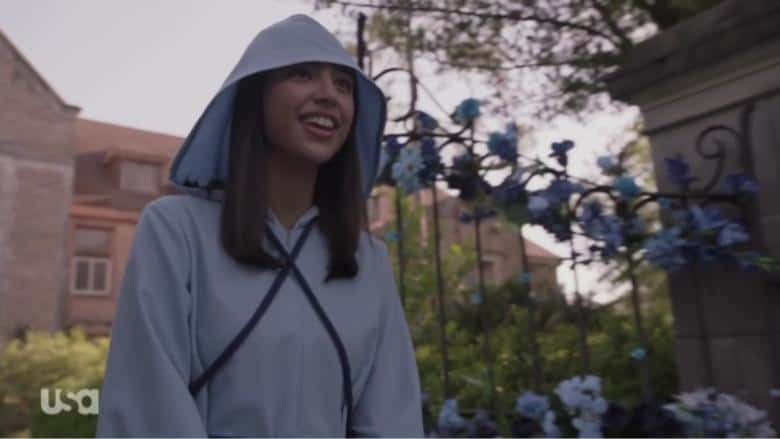 Miguel (Gabriel Chavarria) is a US Marine in search of his sister, Penelope (Jessica Garza), who has joined a cult to sacrifice herself for a greater good. Jenna (Hannah Anderson) and her husband Rick (Colin Woodell) are anti-Purgers striving to make important connections among the wealthy, but Jenna has decided to join the purge for the first time. Another former anti-Purger is Jane (Amanda Warren), who decides to use the Purge to her advantage when her career reaches a stand-still. The show is written and executive produced by Purge creator James DeMonaco and is produced by Blumhouse Productions. Its release follows the most recent film installment in the franchise, The First Purge, which released in July. You can read our review of the first episode of The Purge here. Aaron Ehasz, the head director and writer of Avatar: The Last Airbender, is working on a new animated series with Uncharted video game director Justin Richmond. Two princes are nearly killed when an elfin assassin attacks them in their castle. In a surprising turn of events, they befriend the assassin and set out on a quest to end the war between their lands. The first trailer shows us a world of castles, swords, and magic—and, of course, a dragon. The animation style is unusual. It’s somewhere between 3D animation and traditional 2D animation as seen in Avatar: The Last Airbender and The Legend of Korra. Though the show is primarily CGI, the low framerate creates the look and feel of a traditionally animated style. It’s worth noting that Aaron Ehasz is not one of the creators of Avatar: The Last Airbender or The Legend of Korra (those would be Bryan Konietzko and Michael Dante DiMartino), but he had a major impact on both shows. The Dragon Prince stars Jack De Sena (Avatar: The Last Airbender), Paula Burrows (The Dangers of Online Dating), and Sasha Rojen (The Flash). All of Season 1 releases on September 14 on Netflix. From House of Cards creator Bill Willimon comes a space sci-fi focusing on the first crewed NASA mission to Mars, starring Sean Penn as astronaut Tom Hagerty (Mystic River). Laz Ingram (Natascha McElhone) is the aerospace tycoon behind a daring mission to Mars that will mark a new age of space exploration. For Tom Hagerty, the decision to lead the team into space isn’t easy; he must choose between caring for his young daughter or serving humanity in a journey that will be remembered forever. A crewed mission to Mars is a well-explored area for film—The First will succeed or fail in its ability to tell a fresh and compelling story in the near-future sci-fi genre. Anti-gravity scenes and special effects will no doubt also present a challenge unique to TV. Also starring are LisaGay Hamilton (The Practice), Oded Fehr (When Heroes Fly), Hannah Ware (Betrayal), and James Ransone (Mosaic). Unlike most Hulu series, The First will release all eight episodes of the series at once on September 14. Willimon will serve as showrunner and executive producer, with Jordan Tappis also executive producing. Cary Joji Fukunaga, known for his work on Beasts of No Nation and True Detective, has created a limited series for Netflix that explores the subjects of a bizarre pharmaceutical experiment. When Annie and Owen pop the pill, they find themselves in bizarre realities in their minds, and for some reason, they keep ending up in the same visions. 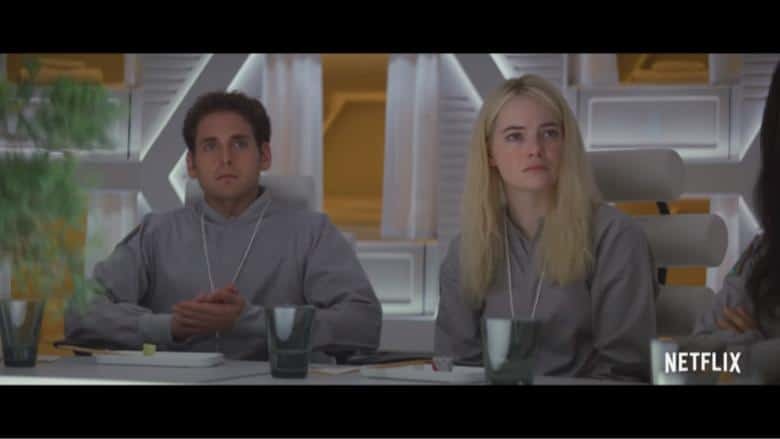 The trailers make it clear that something is awry with the whole experiment, but what that means exactly is yet to be seen. The show’s imagery and style are reminiscent of Inception and Eternal Sunshine of the Spotless Mind, but the limited series format gives Fukunaga more time to explore the concept of dream-realities. If there’s more to this series than a bunch of bad dreams, it could be something that’s as thought provoking as it is visually engaging. Series creator Patrick Somerville will act as head writer, and all 10 episodes will release on September 21 on Netflix. 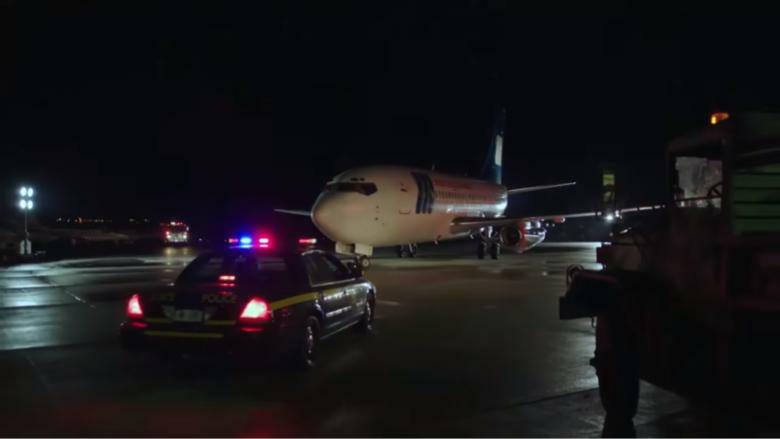 In Manifest, a plane touches ground after a turbulent flight—five years after it took off. Little time has passed for the passengers, but the world they return to is not the one they knew. Their friends and family have already grieved and created new lives without the passengers of Montego Air Flight 828. Jobs have disappeared, and marriages have been forever changed. Though this new adjustment will be easy for no one, it does present an opportunity to start anew. And the more the passengers of Flight 828 learn about the strange event that sent them forward in time, the more complicated the mystery becomes. Lost comparisons are inevitable, and Manifest falls firmly into the same mystery-sci-fi genre, but it also has a very different territory to explore. However, it does leave one wondering whether the triggering event could have been something other than a turbulent plane flight. Among the cast are Josh Dallas (Once Upon a Time), Melissa Roxburgh (Valor), J. R. Ramirez (Power), Luna Blaise (Fresh of the Boat), Parveen Kaur (Saving Hope), and Jack Messina. Show creator and writer Jeff Rake will executive produce alongside David Frankel, Robert Zemeckis, Jack Rapke, and Jackie Levine.